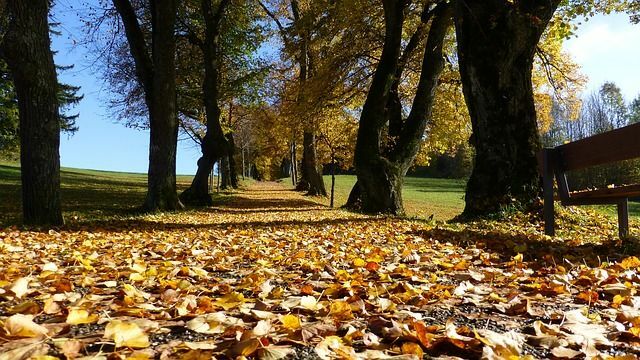 Autumn is an exciting time for children, the season is rife with beautiful weather and nature, with pavements lined with crisp and colourful leaves, the harvesting of crops and the colder and darker days that come with it. Without forgetting that Halloween brings fun costumes, ghouls and witches! All perfect opportunities to use the nature surrounding us and to get crafty with your kids, allowing them to explore the great outdoors and to learn about this beautiful season in a first hand experience. Grab your wellies, outdoor coats and head outside, to enjoy these fun and exciting autumn crafts for kids! Whatever your age there's nothing more satisfying than stamping through a bunch of crunchy and crisp leaves on a dry and cold day! These crafts are cost free and the best thing is there will never be a shortage of them, so lets start by crunching our way through some of our favourite leaf crafts. Drawing on leaves - Grab a collection of different coloured and shaped leaves and let your child loose with a white or black pen, it works best if you press your leaves first, this can simply be done by pressing the leaves into a book or a flower press. Make a leaf garland - The leaves can be decorated with art as above and then attached to a piece of ribbon or rope to hang up in your house or garden! Add googly eyes - Grab your pressed leaves and bring them to life with cute googly eyes and funny faces! Add some sparkle! - Make your leaves glitter and sparkle with some glitter paint or pens, these would look great stuck to cards or added to a leaf garland. On a dry day head outside to a local park or even your garden and get your little ones to have a go at tree rubbing's. All you need is a notebook and a coloured pencil or crayon. Let them explore and see who can find a tree with the most textured and funky patterns, they can even display their rubbing's at home in a frame or be given as presents. Pumpkins come into full harvest at this time of the year and pumpkin carving has been a tradition for years that is enjoyed by people all over the world. It's something that kids can really get involved with and have fun with in the run up to Halloween. Kids can draw out their design for the face on a piece of paper and have their parent or adult carve it out for them. 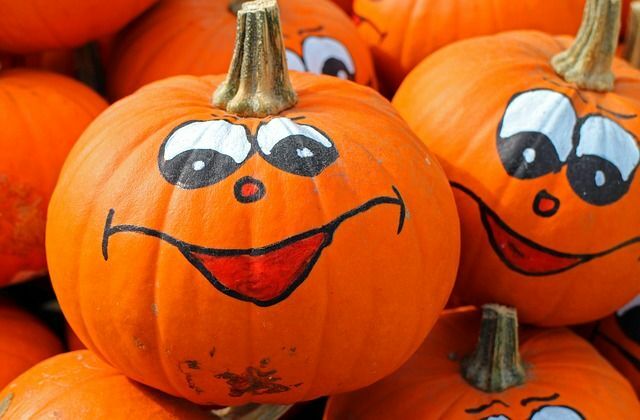 Children can then get involved with carving out the pulp with a spoon and decorating the pumpkin with funky faces. Their pumpkins can then be filled with LED battery candles or tealights. N.B Kids should never be left alone with sharp knives and should be fully supervised at all times. 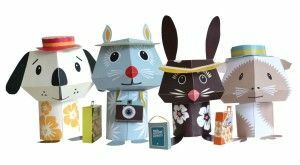 Birdkids is ultimately inspired by nature and for those days when the weather is too miserable to head outdoors we have a great choice of craft kits for kids to get stuck into. This Create with Buttons Stitching Workshop - Woodland Adventure is a really fun autumnal craft kit that is great for younger children, allowing them to create their own charming woodland scenes that they can keep forever! 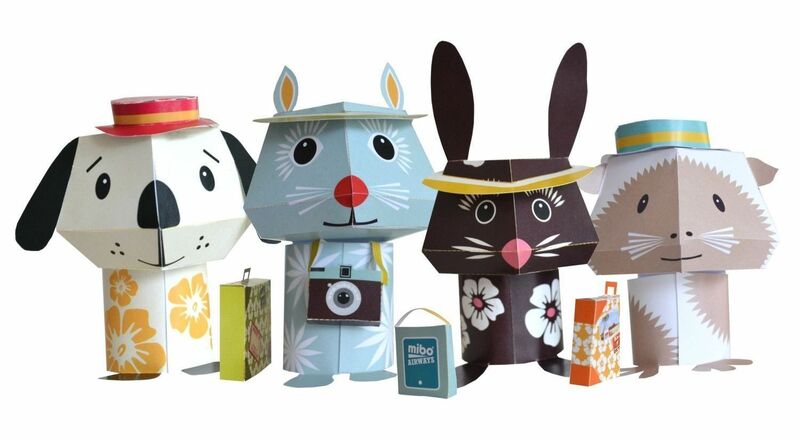 These Jet Set Friends 3D paper kit create super cute and friendly animals that can easily be made by using the Japanese paper folding technique called origami. 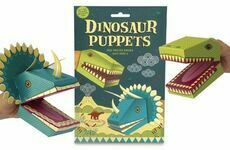 This kit contains templates to make all 4 animals and should keep your child occupied for an hour or two! Autumn really is a magical month and you should embrace every opportunity you have to get your kids involved in the nature around them in a fun way. Anything can be turned into a craft project with items that are cost free and readily available to us, we even have you covered if the weather isn't great. These arts and crafts ideas are great for weekends, evenings in and October half term! Whatever you do this year embrace the true beauty of Autumn and be creative! 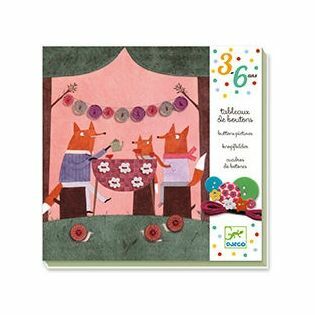 You can view our full range of craft kits here. Do you have any other arts and crafts ideas for autumn? Do let us know on our Facebook page & Twitter pages!